When a family member is diagnosed with Dementia, the choices for providing care can be overwhelming if they are still living at home – or when living at home is no longer an option. Join Lisa and Scott as they survey the various types and levels of care, what they include, when each are appropriate, and how to find/obtain them. Learn how you can be a resource for your clients while navigating the difficult decisions about Adult Day Care Centers, In-home Care, Residential Care, Respite Care, and Hospice Care. A client or a client’s family member has just passed away and now the successor trustee must serve as trustee of the living trust. Are you prepared to handle the myriad of questions that successor trustees will have regarding their rights and responsibilities? Are you aware that tax and investment advice may be different in these situations? To help avoid personal liability, a trustee must seek professional financial, accounting and legal advice. This course is an overview of the legal and procedural requirements of trust administration to assist trustees and their advisors to properly discharge their duties. It addresses the need for legal, tax, accounting, and complete investment planning in trust administration. Presented by Stephen Mancini, Esq. and Brooke Jensen, Esq. Seasons Hospice will provide a presentation on the many services available in end of life care, including Music Therapy. These services are usually available much earlier than most patients and families realize. The common misconception is that hospice comes in during the last weeks or days, when in fact the support is usually available much sooner and provides 24/7 response and interdisciplinary support. Music Therapy is a clinical discipline used in hospice that in addition to lovely music, provides interventions for pain management, respiratory distress, emotional and spiritual support. This informative technical session will address planning techniques for taking chips off the table sooner, rather than later. The session will also cover different asset protection planning levels, ranging from domestic to offshore planning. Presented by Stephanie Downer, Esq. and Alejandro Matuk, Esq. Where are you now? Evaluate the Current State of the business using a true valuations process conducted by credentialed professionals. This offers the business owner a realistic picture of their company’s value from a buyer’s perspective – including assessments in two distinct areas: attractiveness and readiness. Help your business owners become poised to transition from a Wisdom-driven Business to a Value-driven Business. Surprisingly, there are still options available to help even in the midst of a healthcare crisis. Join Scott and Alexis as they review and compare the timing and applicability of Medicare, Medi-cal, VA Aid and Attendance, Long-term Care and/or Life Insurance – as well as the pros and cons of asset liquidation. Consider the future ramifications of current decisions regarding incapacity, dealing with beneficiaries, and disputes among siblings. Presented by Scott Stewart., Esq. and Alexis Bastedo, Esq. The two biggest risks to a systematic withdrawal plan are inflation, and something known as “sequence-of-returns risk”. Sequence-of-returns risk is the risk of receiving lower or negative returns early in a period when withdrawals are made from an individual’s underlying investments. The order or sequence of investment returns is a primary concern for retirees who are living off the income and capital of their investments. Another misconception we see is people think that legacy planning is “just for the kids.” However, legacy planning is actually MOST important for the surviving spouse. Going from married to single tax brackets, the standard deduction is cut in half, marginal brackets shrink, and overall taxes go up dramatically. Added to which, losing one of the two Social Security payments and potential pensions, income is almost always reduced as well. So taxes go up and income goes down for a surviving spouse. We are living at a time when extraordinary estate and wealth strategies planning advisors are needed like never before. As a result, the public is searching for answers on how to preserve and protect what they have; and for answers on how to thrive into the future. This course is a dialogue on professional collaboration and the type of practice your referral sources and clients experience – your practice as seen through the eyes of others. It introduces you to techniques which you and your team may use to gain the skills and quiet confidence to position your practice in the forefront of your community and how you can become a “referable” resource to others. Your practice is like no other and should be unique to you. We will also hold simultaneous 30 minute discussions on How to Communicate and Care for People with Dementia, Physiological Changes with Age; and Memory and Aging – What’s Normal What’s Not. Presented by Shelley Lightfoot, Executive Director & Stephanie Downer, Esq. Anita and Scott will demonstrate how caregivers and legal/financial professionals can work together to provide the best and most comprehensive resources for your clients with special needs. Often the parents/caregivers/spouses worry about how their loved one will survive financially if something happens to them – because although their medical condition is chronic, it is not fatal. Learn what benefits are available and how a special needs trust can help protect and provide for their most vulnerable family members throughout their life without disturbing access to benefit programs. Also gain an understanding of the myriad of challenges, family impact, and options related to mental illness that will help you better connect with your clients and their families. Presented by Anita Fisher, NAMI SD and Scott Stewart, Esq. As a client’s trusted advisor, your client’s consideration of selling their business presents you with an opportunity to guide your client through a significant wealth creation opportunity. In this session, Greg and Channing will cover a number of core concepts that you can use to advise your clients at this critical juncture in their personal and business life. Specifically, they will discuss methods to maximize sale price, assess the sale for fit with your client’s objectives, and methods to maximize after-tax cash. Don’t be Stuck in the “Wait and See” Trap! Let’s face it, estate taxes, income taxes, and the like are never permanent, and most definitely affected by each new administration. Joe and Steve will share insights and fresh perspectives several months into the new Trump Administration. They’ll spotlight the legislative changes already made and the anticipated initiatives still likely to come – focusing on the most relevant topics of conversation and planning opportunities for advisors of all disciplines to share with clients and prospective clients. Presented by Joe Strazzeri, Esq. and Steve Mancini, Esq. In recent years Donor Advised Funds have become a phenomenal philanthropic tool that can foster collaboration among both the family and their advisory teams. Learn questions to uncover how DAFs can be combined with other strategies to create the right charitable pathway for clients. Debunk common myths when it comes to leveraging complex assets like real estate or closely held business interests for charitable giving. Create inclusive planning strategies that can be beneficial for both the family and the professional advisory teams. This collaboration can increase the beneficial impact to the family, their philanthropy, the advisors relationships with one another and the community at large. Scott and Stephanie will share what each of the five essential documents in estate planning is designed to do and why they are important for you and your clients. Help your clients memorialize their wishes in case of death or incapacity. This is an indispensable presentation on how to gets your ducks in a row. Presented by Scott Stewart, Esq. and Stephanie Downer, Esq. Driving is such an important part of our daily living that many people do not realize how much time they spend behind the wheel until their license is suspended or revoked. If someone is arrested for a DUI, they are faced with two DUI proceedings: a DMV procedural hearing and the criminal prosecution. Join Richard and Joe as they share insights on the critical moments from when you see the red and blue lights in your rearview mirror through the possible following year of life turmoil. Presented by Richard Katzman, Esq. and Joe Strazzeri, Esq. Practice Management is silly and insane without an integrated, easy, and usable cloud-based CRM with forms/process capability, tracking, emails, scheduling, To-Do’s, case management, and all that other stuff in one place – where the transition is managed by an expert team and not your staff. Join our friends Ali and Eric to make sense of the decision you have to make. 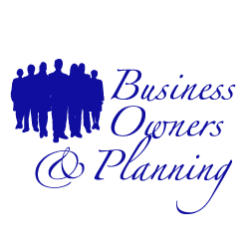 CPAs, Financial Advisors, and Attorneys – NOTE: We moved from Time Matters! Join us for an informative discussion on how to protect your clients’ rights once they receive a diagnose of dementia. Dr. Diane and Scott will teach you when incapacity can limit your clients’ rights. You will have a better grasp on understanding the legal, ethical and treatment issues of dementia care. 100% of Businesses will transition. The questions are how, and when, and why. What we would like to do is give the Business Owner control over that transition. What you will find out here is that it is not necessarily about the transition, but the Process that will allow the Business Owner to gain the control. Like you, we don’t suffer from lack of opportunity, but we found out that our business model suffered from lack of good follow up. How much revenue do we each lose from the point of a client (and advisor) interest, to them dropping off our scope? Lost opportunity is loss of pure profit. Myke and Shelley will explain how to use potential client conversion software while remaining profitable and professional. Experience a documented implementation of CRM, Marketing, and Ecommerce campaigns; Dive into ACTIVE Marketing Automation Funnels and learn how the automation affects your business’s results; and Learn Infusionsoft’s Campaign Builder Tool: Lead Generation, Referral, and Customer Onboarding processes. As society ages the need for services by this demographic are going to increase. This can include planning for long-term care, Medicaid, Medi-Cal, and other government benefits – which can drastically enhance your revenue and practice stability, leading to a dramatic increase in the amount of probates, trust administration, settlement and the associated financial, tax, and legal planning for clients older (and younger!) than 55. Join Scott and Brooke as they share techniques, tools, and their technical expertise to enhance your knowledge and practice. Wealthy families cannot leave 100% of their estates to their children and grandchildren because the estate and the gift transfer tax system intervene. This workshop will demonstrate how philanthropy actually enhances what the family receives while benefiting worthy charitable causes in meaningful ways. What should you do – what can you do with existing life insurance buried in ILITs, Buy/Sell agreements, and other wealth transfer entities in the new tax world? Learn from case studies and review the true numeric comparisons considering taxation, growth, and cash flows to help clients and their advisors understand their options.